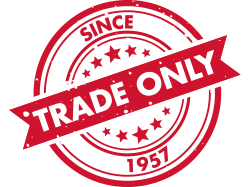 For over 10 years the Europart UK Tradesite has been Maddocks’ primary route to market as a trade-only wholesale distribution company specialising in the supply of spare parts for electric domestic appliances. 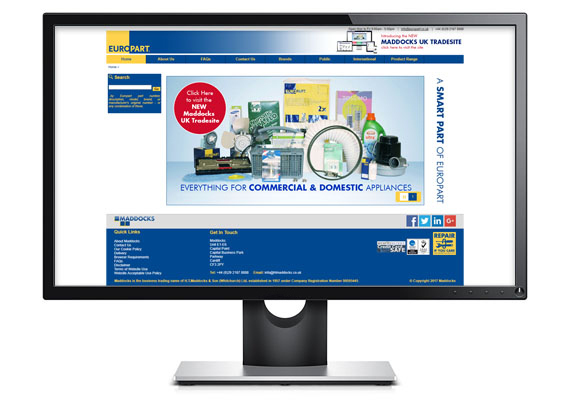 Containing technical information and pricing for over 10,000 stocking lines from over 600 different manufacturers, the Europart UK Tradesite is one of the most comprehensive online business to business resources for those within the UK Domestic Appliance Industry. Every day Maddocks continues to develop, refine and extend the capabilities of the Europart UK Tradesite with the active support and involvement of manufacturers and key suppliers. Despite the Europart UK Tradesite being a valuable tool for our customers, as a family-owned and run company our trading partners will benefit from a personal approach to doing business. We know the smallest details matter. From our beginnings as a service company engaged in the repair of household appliances to the wholesale distribution company we are today, we’ve never lost sight of our customers’ needs. Our 58 years of experience comes in handy, and because we’ve probably seen or done it before you can be sure you’ll get the best and most comprehensive service from a company that’s committed to delivering quality and distinction – where you’re online, or not!